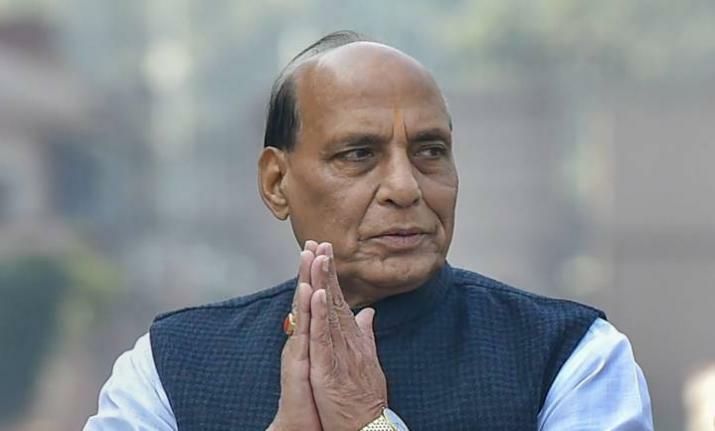 Lucknow, Apr 15: Union Home Minister and Bharatiya Janata Party (BJP) candidate from Uttar Pradesh state capital Rajnath Singh is likely to file his nomination from this parliamentary seat on April 16. On the day of filing his nomination, Mr Singh is also expected to hold a road show from the party office to the Collectorate while several senior BJP leaders and NDA alliance leaders may also be present on the day. Mr Singh is expected to reach the party office at around 0930 hrs on April 16th.During the road show, the Minister will pay his tributes at the statues of Mahatma Gandhi and Baba Saheb Dr Bhimrao Ambedkar near the Hazratganj Chauraha. He will reach the Collectorate at around 1200 hrs file his nomination for the Lucknow seat. BJP leader and candidate from the Mohanlalganj parliamentary constituency is also set to file his papers the same day. Although the Opposition is yet to field a candidate against Mr Singh, sources said that the Opposition candidate may be announced in the next 24 hours. The last date to file nominations is April 18. Lucknow is considered to be the stronghold of the ruling BJP which has held the seat since 1991. In such a scenario, it will be interesting to lookout for the way in which the electoral battle from this seat, which also has a legacy of former Prime Minister Atal Bihari Vajpayee, eventually turns out. Mr Singh had earlier contested from the Lucknow seat in the 2014 Lok Sabha elections and secured a decisive victory by defeating Prof Rita Bahuguna Joshi by winning about 5,61,106 votes. Ms Joshi, who had then contested on a Congress ticket, later joined the BJP in October 2016.Earlier, the Union Minister had contested from the Ghaziabad seat in 2009.Lucknow goes to polls in the fifth phase and the nominations for this phase started from April 10. Voting will be held here on May 6.